From 2001 to 2015, I have been working at the Chair of Efficient Algorithms (Prof. Ernst W. Mayr). Now I am a guest at the Chair of Theoretical Computer Science (Prof. Susanne Albers) at TUM. At the moment, my main occupation is Senior Data Scientist and Member of Xplain Data. PhD Thesis, Computer Science Dept., TU München, 2007. Habilitation Thesis, Computer Science Dept., TU München, 2015. 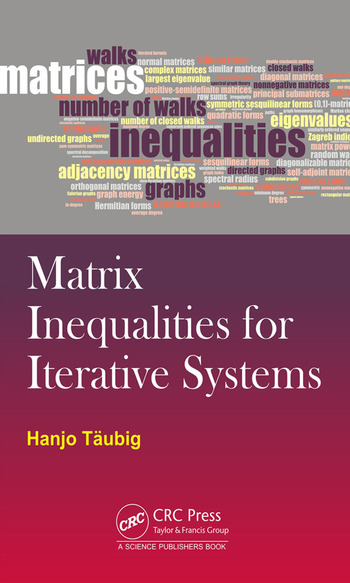 Book: Matrix Inequalities for Iterative Systems, CRC Press / Taylor & Francis Group, 2017. Journal: Inequalities for the Number of Walks in Subdivision Graphs, MATCH Communications in Mathematical and in Computer Chemistry 76(1):61-68, 2016. 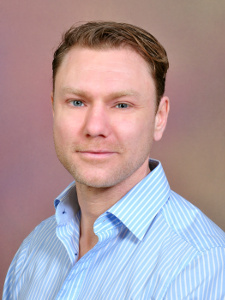 Conference: Welfare Maximization in Fractional Hedonic Games, Proc. 24th IJCAI, pp. 461-467, 2015. Conference: Computing Cut-Based Hierarchical Decompositions in Almost Linear Time, Proc. 25th SODA pp. 227-238, 2014. Journal: SKIP+: A Self-Stabilizing Skip Graph, Journal of the ACM 61(6), Article 36, 2014. Conference: A Distributed Polylogarithmic Time Algorithm for Self-Stabilizing Skip Graphs, Proc. 28th PODC, pp. 131-140, 2009. Journal: Matrix Power Inequalities and the Number of Walks in Graphs, Discrete Applied Mathematics 176:122-129, 2014. Conference: Inequalities for the Number of Walks in Graphs, Proc. 9th ANALCO, pp. 26-39, 2012. Conference: Time Complexity of Distributed Topological Self-Stabilization: The Case of Graph Linearization, Proc. 9th LATIN, LNCS 6034, pp. 294-305, 2010. Journal: Combinatorial Network Abstraction by Trees and Distances, Theoretical Computer Science 407(1):1-20, 2008. Konferenz: Combinatorial Network Abstraction by Trees and Distances Proc. 16th ISAAC, LNCS Vol. 3827, pp. 1100-1109, 2005. Conference: Acyclic Type-of-Relationship Problems on the Internet, Proc. 3rd CAAN, LNCS 4235, pp. 98-111, 2006. Journal: PAST: fast structure-based searching in the PDB, Nucleic Acids Research 34:W20-W23, 2006. Conference: A Method for Fast Approximate Searching of Polypeptide Structures in the PDB, Proc. GCB, LNI P-53, pp. 65-74, 2004. Journal: The Complexity of Detecting Fixed-Density Clusters, Discrete Applied Mathematics 154(11):1547-1562, 2006. Conference: The Complexity of Detecting Fixed-Density Clusters, Proc. 5th CIAC, LNCS, 2653, pp. 201-212, 2003. Conference: Comparing Push- and Pull-Based Broadcasting, Proc. 2nd WEA, LNCS 2647, pp. 148-164, 2003. See also DBLP, Google Scholar, Microsoft Academic, or ResearchGate.